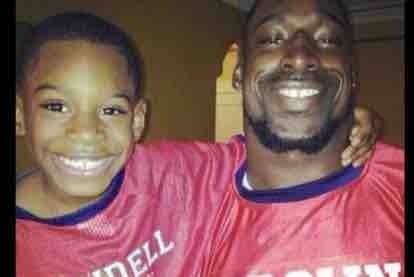 Help our Detroit Native Wendell Brown get home to his son, family, and friends. Wendell is a college graduate and athlete who has traveled to many places around the globe and has met many awesome people along the way. Wendell is well respected in his community, has been a positive role model, and inspires everyone around him. He has made us very proud of his many accomplishments and has always represented himself as a loving child of God. We need your help returning him home from a foreign country where he has fulfilled his mission. American Wendell Brown has been wrongfully detained in mainland China since September 2016. Wendell, coach of the Chongqing Dockers American football team, was attacked by a group of drunk men in the entertainment district of Chongqing in the fall of 2016. Sworn witnesses corroborate that Wendell was forced to defend himself after being mobbed by several men of smaller stature with weapons. Wendell is the father of an elven year-old son and is a highly respected member of the community, who coached around the world before being attacked in a more rural community of China. Racial, cultural and political misunderstandings have kept Wendell behind bars, as his family in Detroit tries to bring him home. Please help. Your donations will help unite a family and restore justice for an American caught at the wrong place at the wrong time. We hope to reach our goal of $50,000 as quickly as possible. This fundraiser has been organized on behalf of the family by Wendells mother Antoinette Brown, of Detroit Michigan to cover emergency cost associated with loss wages, child care, and emergency family travel expenses. The money is going to me and I'll withdraw it for things related to this family misfortune . Our goal is to reach $50,000 to assist the Brown family in settling this matter, as well as Wendell's repatriation back to the United States. Your donations are greatly appreciated. American Wendell Brown has been wrongfully detained in mainland China since September 2016. Wendell, coach of the Chongqing Dockers was attacked by a group of drunk men in the entertainment district of Chongqing last fall. Sworn witnesses corroborate that Wendell was forced to defend himself after being mobbed by several men of smaller stature with weapons. Wendell is a father of a ten year old son and highly respected member of the community, who coached around the world before being attacked in a more rural community of China. Racial, cultural and political misunderstandings have kept Wendell behind bars, as his family in Detroit tries to bring him home. Please help. Your donations will help unite a family and restore justice for an American caught at the wrong place at the wrong time. We hope to reach our goal of $5,000 for summer child care by June. To whom this may concern: Wendell has had a lawyer to represent him I'm China since September 2016 when he was first arrested.. The US Embassy/Consulate has been involved also the US senator /assistant has been involved .. Wendells family friends and a host of others. The NAACP has also been informed of this common but unfortunate sisuation also . Wendells court date is approaching and when he is released we need to be prepared to get him home. Air fare, unpaid bills while he was took away from us, clothes to wear that was lost and whatever he needs to get himself together to get home.. ID/passport etc. People of The United States and Around the world. Send a link of this case of Wendell Brown to President Trump Twitter. Flood his twitter with this case and may The God of Jacob answer all of your prayers speedily. Amen. Will make sure i donate as soon as i get paid. Prayers for you all!! Will share as well to get the word out! And as Wendell wrote in a letter from March 2017, "I love you all to life! Grace, Peace, Prosperity, Love and an abundance of Blessings in the name if the MOST HIGH GOD!" What is the situation? Any updates? Is it possible to try to get the case back in the spotlight with these UCLA kids stealing from a store in Shanghai? I don't wanna lump them into the same boat but if the eye is on sports figures in jail we have an innocent on and these kids maybe it can help? This is unfair what China is doing this man and unjust. I pray God give him favor to be release.